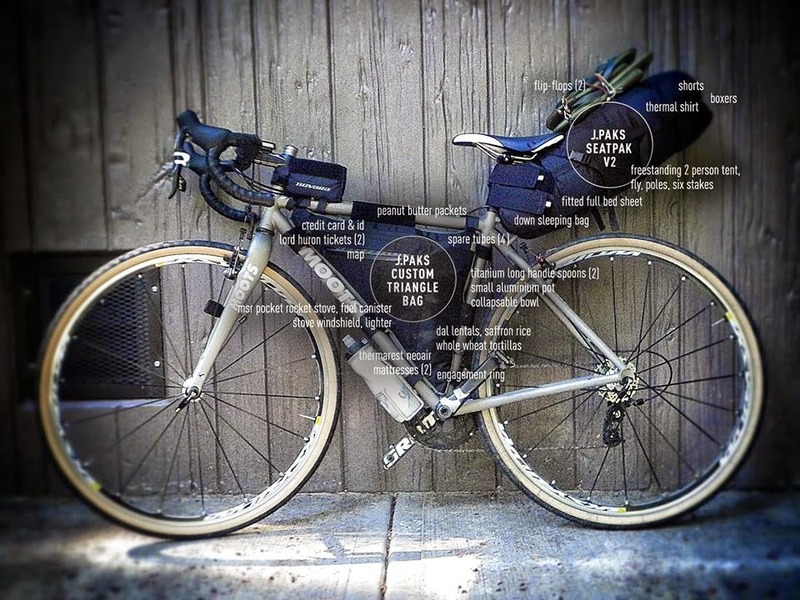 J.Paks - 100% Handmade in Denver Colorado, Adventure cycling frame bags. From the CTR and AZT to the GDMBR, Arrowhead 135 and across the shores of Iceland and every adventure in between. J.Paks have been tried and tested in some of the most demanding conditions. Roadways include Long St., Spring St., Summit St. and N. 4th St. These are some of the photos I took at the Downtown Roadway Improvement Projects open public forum on Wednesday, Sept. 3, 2014. 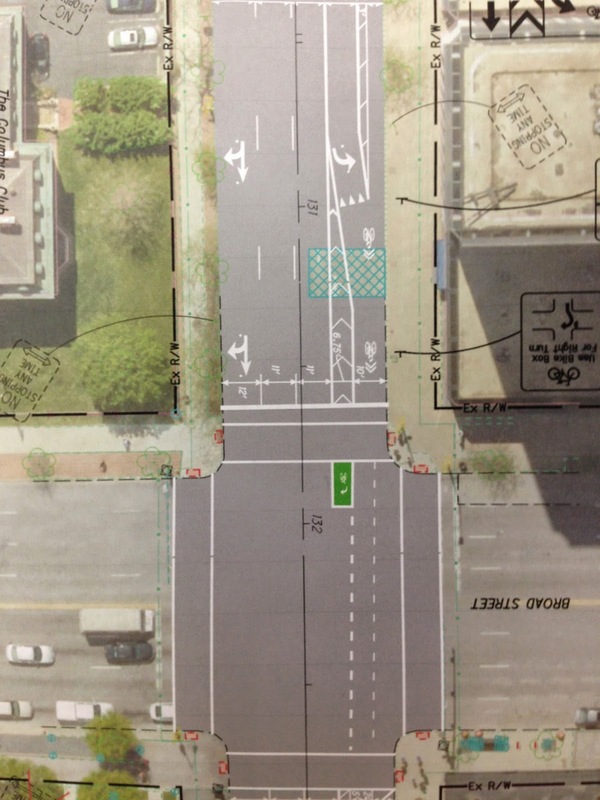 These are just snippets of some of the large format prints that were on display for public comment at the Beacon Building, 50 West Gay St.
^ This image shows a bike lane on the right merging with traffic into a sharrow for a left-hand turn. This image also shows a green bike box in front of the crosswalk for making right-hand turns. The problem I see with that is vehicular cyclists would naturally use the right-hand lane for turning right. 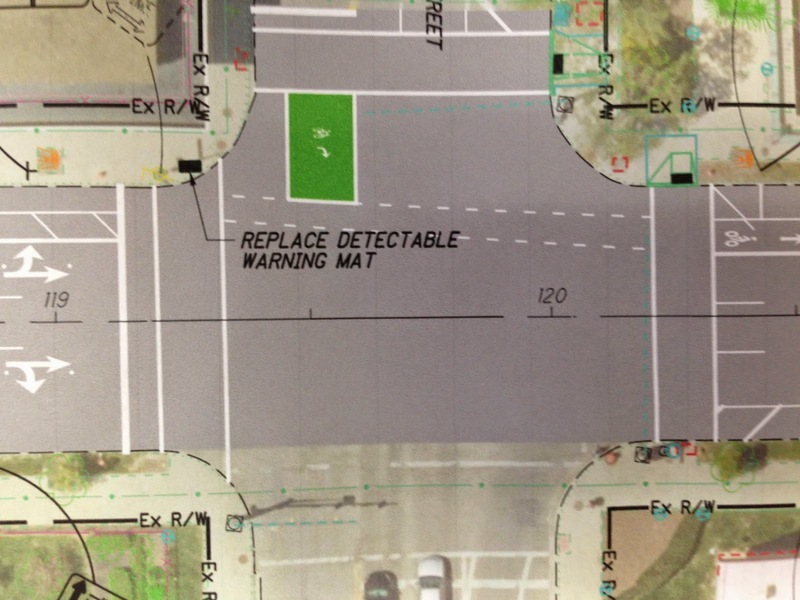 ^ This is another image showing the green bike box in front of the crosswalk for right-hand turns. The bicycle rider would be coming from the left, stop in the green bike box with their bike turned and proceed once the traffic light changes. Again, vehicular cyclists would naturally use the right lane (coming from the left in this photo) to turn right. 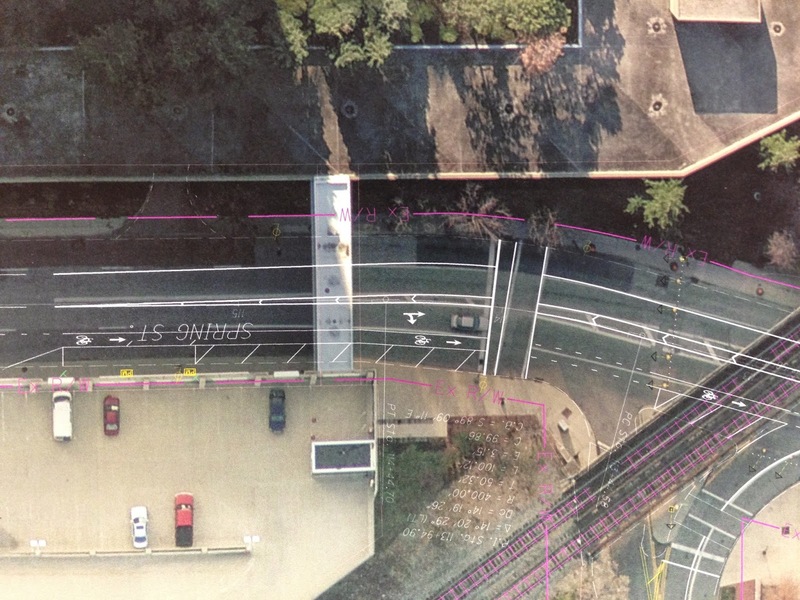 ^ This image shows Spring St. proposed bike lanes running under the railroad tracks near North Bank Park. 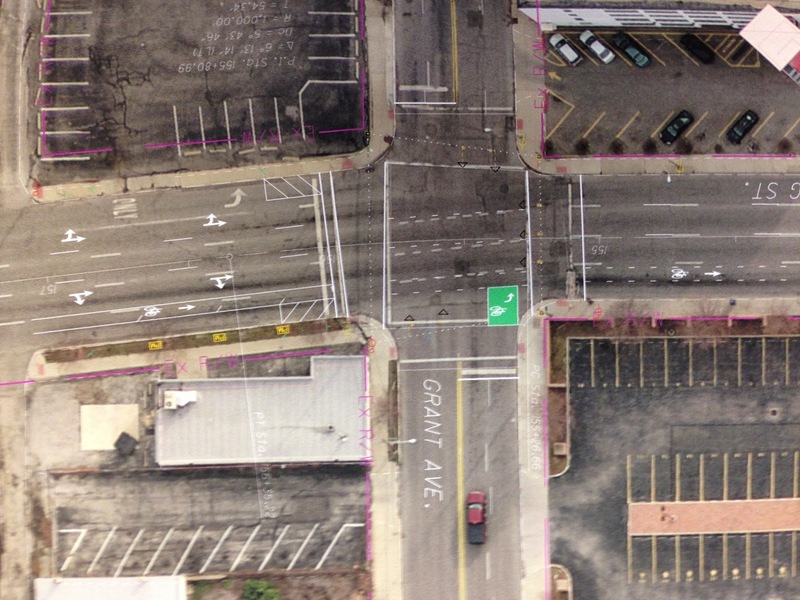 The dashed lines show where auto traffic would cross the bike lane. I think these areas need to be painted green so auto traffic is alerted of crossing potential bicycle traffic. ^ This last image shows the bike lane on Long St. at Grant Ave. Notice the "tick" marks in the bike lane in the left of this photo. These diagonal marks indicate the door zone. 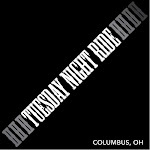 Riders are expected to know and understand these marks without explanation or signage. One argument for these tick marks are that riders will naturally not ride over painted marks, much like the same marks that indicate drain grates, if you've ever experienced those on Dublin Rd. (Rt. 33). For most people, a satisfying commute is not necessarily a happy one—a not-so-unhappy one will do. Yes, it's true that the ideal commute not absolutely zero commute; many of us can use the time to decompress or get some thinking done. But it's also true that beyond a certain point—roughly 15 minutes one-way, on average—we just want our lives and sanity back. Even within that general framework of unpleasantness, some commutes are more enjoyable than others. A group of researchers at McGill University in Montreal recently tried to establish a clear hierarchy among the main six work-trip modes: driving, riding (bus and metro and commuter rail), walking, and cycling. They asked nearly 3,400 people who commuted to campus on a single mode to describe their typical trip in both winter and summer, and to rate their satisfaction with various aspects of that trip. The researchers then converted the ratings into a single satisfaction score for each of six commute modes.